We offer multiple services at Spokane Landscaping and we will strive to be your one and only lawn care company in Spokane Washington. We have been serving the Spokane area since 1997 and have been providing top quality lawn care services to both residential and commercial clients alike. We offer free bids on all jobs before any work is started so that you know what you will pay. Even though most of our customers call us for lawn mowing jobs, we can also work on sprinkler systems. If you have a sprinkler system that needs repair work, then we can get it fixed on our competitive hourly rate. We also can install completely new sprinkler systems for both residential and commercial locations. Sprinkler systems are a must here in Spokane, WA. With such hot summers if you do not keep your lawns watered or your gardens watered then they will die quickly. Sprinkler systems offer many benefits such as being able to leave town for a few days without worrying if your gardens or grass will dies. Sprinkler systems also offer the ability to save water and money. Since most sprinklers are set on timers you do not have to worry about turning them on or off as they will run on a set schedule. They save water because you won’t over water your lawn, thus wasting water and money. 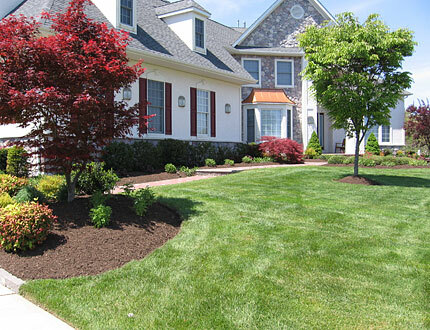 Our fertilizing services also helps your grass to grow and to stay alive the entire summer. With the hot sunny days, its easy for grass to die. Our fertilizers will help protect the grass and to make sure your lawn stays green all summer long. This is especially important for our commercial lawn care clients who need to keep their grass looking great all summer long.